11/20/10 – STIMULATE w/DAS ICH, MANUFACTURA+CENOTYPE- A Pre-SPANKSgiving Industrial Feast! STIMULATE w/DAS ICH, MANUFACTURA+CENOTYPE- A Pre-SPANKSgiving Industrial Feast! 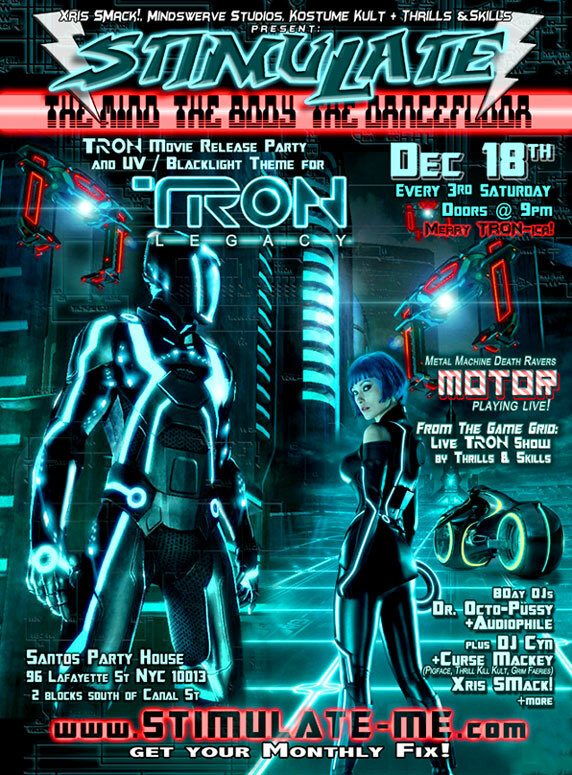 * STIMULATE 12/18: "Merry TRON-ica": the Ultimate TRON Party +UV Theme! in coordination with the "TRON LEGACY" sequel Movie release (opens 12/17)! DJ BlackWidow, Johanna Constantine, Stalagmike, Melissa, nakedekan +more!